Nicholas Ward was born in Chorlton, Manchester, in 1952 (in the same small nursing home where earlier, the great pianist, Bernard Roberts, also saw the light of day). Nicholas was brought up in south Manchester in a house that his parents, Paul and Susan Ward (who met as members of the Hallé, under Barbirolli) had bought from the conductor, Charles Groves. Nick was sent for piano lessons at an early age, but to no avail! With two cellists and double bass in the family already, it was thought the violin would be a good idea; so he began lessons aged 8 with Lawrie Daley, a chain-smoking violinist in the BBC Northern Orchestra! When sufficient progress had been made, they played duets. The years 1962-69 found Nick at Manchester Grammar School studying Latin and Greek, playing lacrosse and lots of music. By this stage, Barry Griffiths was his violin teacher. The following years were spent as a student at the Royal Manchester College of Music (from 1973 RNCM) studying with Vilmos Schummy, Rudolf Botta and Yossi Zivoni and chamber music with Terence Weil. 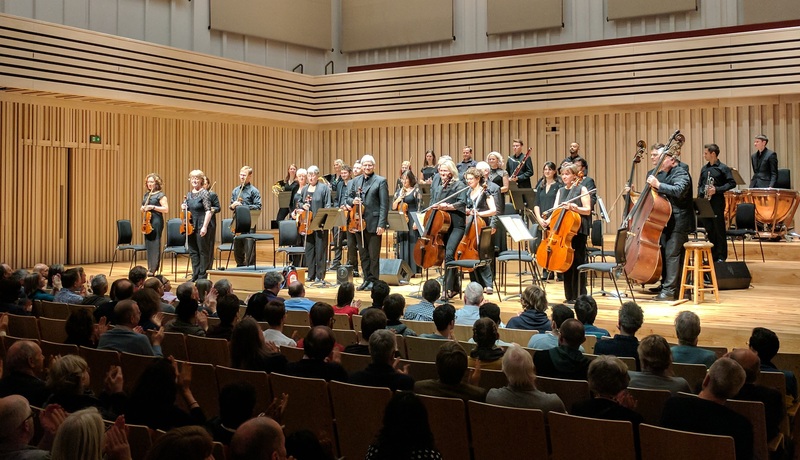 He led the Rugeri Quartet and was a founder member of the Manchester Camerata, having started working professionally in 1970. In 1970 he married Heather, another student of Zivoni; the first three of their children were born during these years. In autumn 1976 the family moved to Brussels for a year, where Nick studied under André Gertler. A fellow student was a young Dutchman called André Rieu! And so to London. Nick had been invited by Cecil Aronowitz and Terence Weil to join the famous Melos Ensemble – led at that time by Hugh Maguire. At the same time, Nick joined the Royal Philharmonic Orchestra and moved the family to Finchley in north London. The Melos suffered the blow of losing Aronowitz (the ensemble’s driving force) to a sudden, premature death. The RPO was led by Nick’s former teacher, Barry Griffiths – an unusually fine musician. After five years, the offer of a large block of work with the Academy of St Martin in the Fields and the position of principal 2nd violin in the London Mozart Players, under Harry Blech, meant leaving the RPO and mainly specialising in smaller groups. The City of London Sinfonia, conducted by Richard Hickox, gave Nick the position of co-leader in 1983 – he was leader for ten years from 1999 to shortly after Hickox’s death. In 1984 Nick joined the NCO as leader – he had played a number of times when he was a student in Manchester. Two years later, he was invited to take over as Music Director, and lead performances without a conductor – highly unusual at the time. In the early 90s the orchestra was given the challenging opportunity to record a large number of CDs for the Naxos label – mainly symphonies by Haydn and Mozart. The CDs were very warmly received by critics. After 30 years with the NCO, Nick is still keen to explore new repertoire and develop the playing of the orchestra. Also these days, he plays chamber music with his sister, cellist Harriet Bennett, in Felixstowe and with the Instrumental Quintet of London. Commercial work includes film music in the studio and playing for ballet – ‘down in the pit’.